Though the volume on my radio was quiet, the lyrics rang out as a loud reminder, and I felt the lump in my throat as tears began flowing from my eyes. “Why are you crying Mom?” said a sweet voice from the back seat. “Sometimes Jesus makes me cry, sweet girl.” I replied as my voice cracked. I was instantly reminded of the journeys God had taken me on. The valleys, the peaks, the deserts, and the oceans. 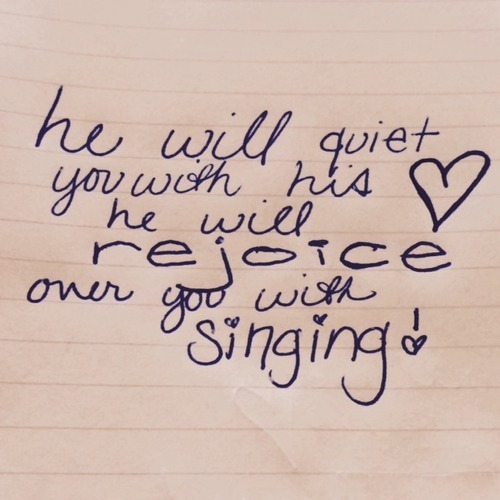 I remembered the fact that He rejoices over me with singing (Zepheniah 3:17). His promise is His presence, and that is a promise that has been fulfilled again and again. As I allowed the tears to trickle down my cheeks, I was thankful for the recollection of His faithfulness, His love, and His mercy. I needed to remember that the process, is not some sort of holding room where we are stagnantly waiting for Jesus to do something big. Rather, it is in these times of waiting that God refines, matures, and makes us ready for the big finish after the waiting. It had been awhile since the awe of Jesus and His love had made me cry. I thought of the way He tenderly holds my heart, thinks of me more times than I could count, and delicately molds, shapes, and smooths out my rough edges. I felt so loved. My heart was overcome with thankfulness, and I was relieved to have been brought to tears, it just felt right. There is something special about a love that makes you cry because of how great it is, a love that makes you cry happy tears. The fact that it is so undeserved is what makes it so precious. Oh, that I would be brought to tears more often, that I would be blown away regularly by His infinite, all consuming love. I want my heart to always remember while I’m on the journey that His love has not changed and it never will.